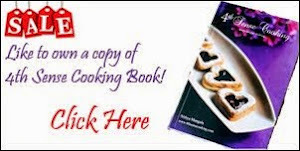 Heat 4 cups of water with a tsp of salt in a pan and add the pasta to it. Boil until the pasta is well cooked. Drain the pasta and rinse in fresh cold water. Keep aside. Choose well ripen tomatoes. Make slits in the tomatoes and blanch them in hot water for 3 mins. Peel the tomatoes, discard their skin, remove seeds and puree them. Split the broccoli florets and blanch them in hot water for three mins. Drain and keep aside. Chop garlic finely. Dice bell peppers into small cubes. Adding vegetables is purely optional. You can keep it simple with just the tomato sauce base. I was not a pasta fan at all,but would you believe me if I said I am a big convert now and I am commenting just after having a bowl of Penne with white sauce and vegetables for dinner?Love the marinara sauce too,tangy and delicious!! this looks so soul filling...yummy! Love that flavor of the sauce, yumm! 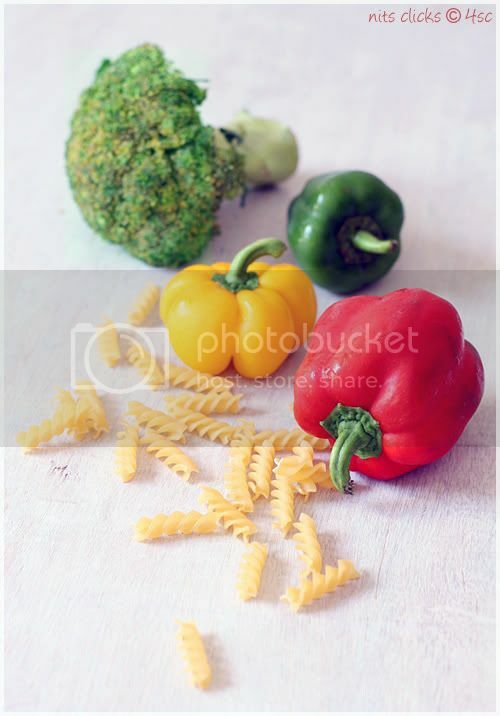 awesome photography Looks mouthwatering yumicious !! 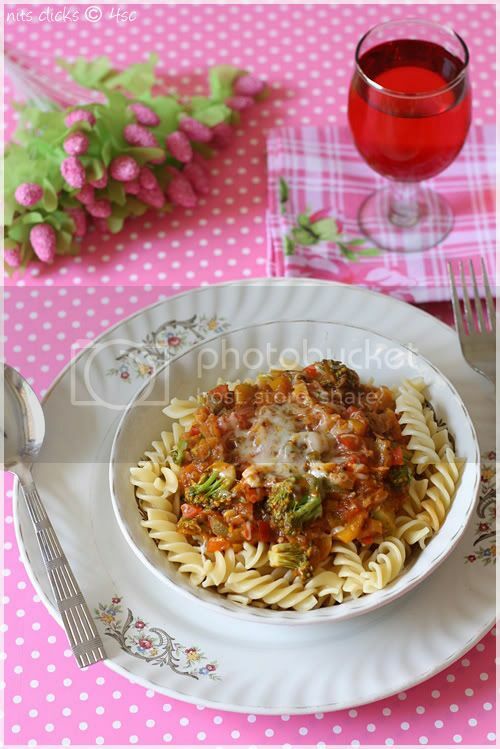 i love pasta and this looks very yummy..
lovely pasta recipe..looks yum yum!! Pasta with home made marinara.. that too with lottts of veggies.. Love it..
Never made such pastaas, mine are always white sauce ones.Temme, can i use store bought tomato puree here? 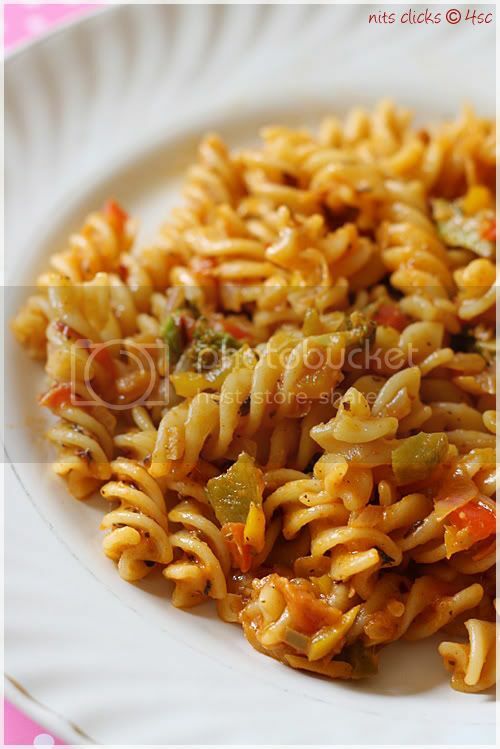 Who will say no to this wonderful looking pasta, seriously am drooling rite now here..
Great pasta recipe!! 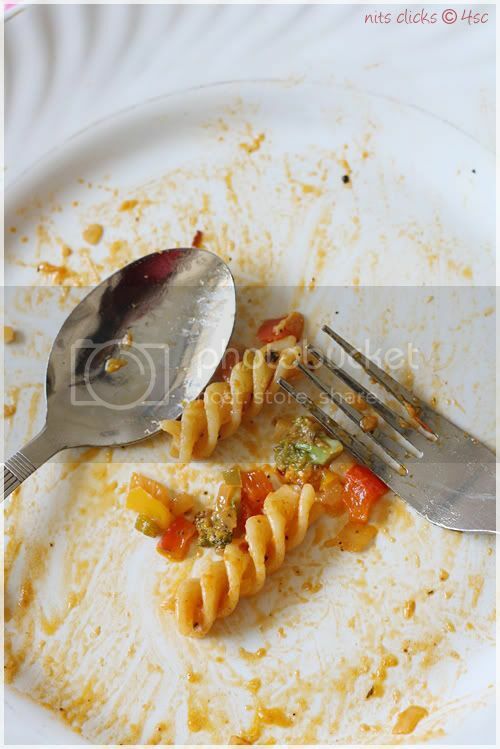 I just uploaded one on my blog with bow pasta... do check it out. absolutely yummy looking pasta..my kids r going to love it..thanx for the gr8 recipe..
Marinara sauce will turn any kind of pasta divine. 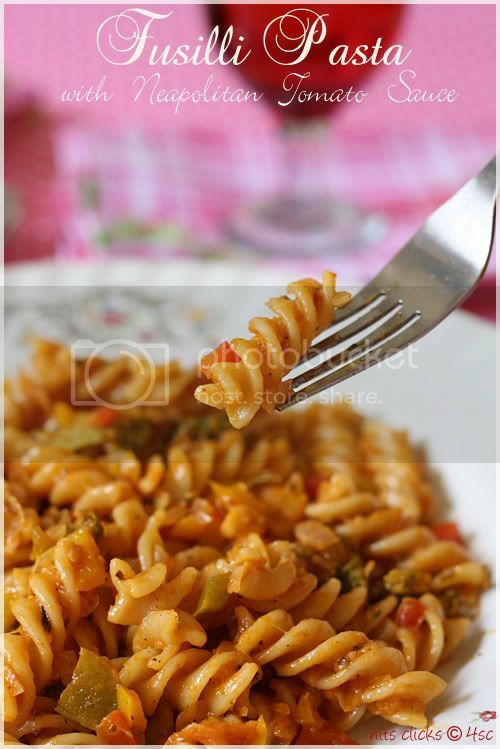 Lovely fusilli pasta with fab clicks nithi. 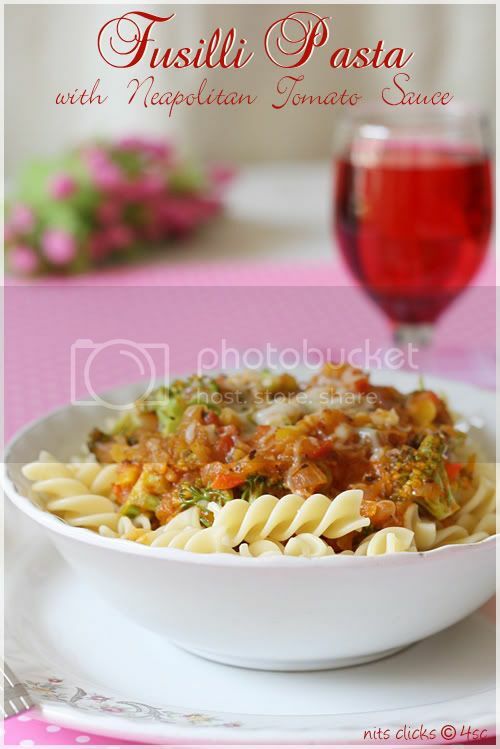 wow, that is what my kids would die for :), beautiful clicks as always nithi..., I too make this often.., I can feed this everyday to my youngest daughter!